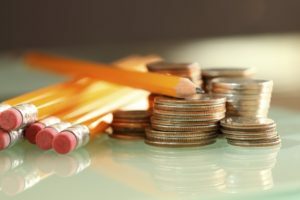 Home » Posts Tagged "School Finance Formula"
Republican Leaders Want to Toss Out the Constitutional School Finance System? If we had a dollar for every time that Republican leadership in the Kansas House and Senate last year said they want to “end the cycle of litigation over school finance,” we would be retired today. Of course, back then we thought nothing of these statements because we, too, want to see an end to the cycle of litigation because that means our schools would be both adequately and equitably funded. That’s what everyone wants – or so we thought. In essence, they don’t want to fund schools adequately. 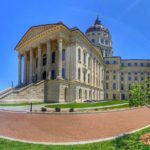 In response to an earlier Supreme Court ruling that school funding was constitutionally both inadequate and inequitable, the Legislature passed bills in 2017 and 2018 that repealed the unconstitutional Brownback block grant funding scheme. The Court subsequently ruled that the new formula met the equity test but was still somewhat short of adequacy. The adequacy ruling was based on the fact that the phased-in increases in school funding did not account for inflation. Evidence showed that inflation would eat up about $90 million of increased funding in the out years of the plan. Essentially, a $100 million funding increase next year would only be a $10 million increase in funding after accounting for inflation. The Court directed the Legislature to return and deal with the inflation issue. Given that the Wagle/Denning school funding study conducted by Dr. Lori Taylor found the state to be shortchanging schools by as much as $2 billion, the Court’s call for dealing with inflation only after the additional $525 million provided by the Legislature seems modest. But apparently, Republican leaders are not interested in meeting the Court ruling. There are two ways currently to end the cycle of litigation. One is to address the inflation issue in the out years of the 2018 legislation and then provide an ongoing mechanism to maintain the funding level so established. The other is the Ryckman/Denning way which is to ban litigation. They would rather just pass a constitutional amendment prohibiting school finance lawsuits and then not worry whether schools are adequately funded at all. We believe that the best approach for the Legislature to take in 2019 is to first leave the constitutional school funding formula alone – why mess with the good work done to get a constitutional formula written and passed? Then, address the inflation issue in last year’s legislation. Thanks to the hard work the Legislature did in reversing the disastrous Brownback tax experiment, revenues are coming in better than expected and adding the inflation increase is affordable. Finally, resist the temptation of prohibiting the public from going to court. All citizens must have the option to go to court if they feel aggrieved and the court system must not be politicized. We must honor our system of checks and balances under which the Legislature makes the laws but the citizens can ask the court to review whether or not those laws are constitutional. The proposed constitutional amendment is a slippery slope which could result in dismantling the very system our founders envisioned and established. Click here to read the Wichita Eagle article. The Senate Democratic Caucus will welcome three new members when they convene for the 2019 Legislative Session. Two are replacements for newly elected Governor Laura Kelly and Lt. 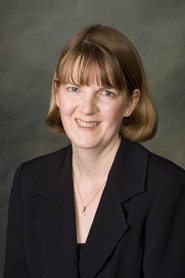 Governor Lynn Rogers. Kelly, who is still technically the Kansas State Senator from SD 18 covering parts of Shawnee, Wabaunsee, and Pottawatomie Counties will be replaced by Vic Miller who is currently representing HD 58 in the Kansas House of Representatives. Rogers, currently the Kansas State Senator from SD 25 in Wichita, will be replaced by Mary Ware, a community activist from Wichita. With Bollier’s switch, the Democratic caucus increases by one member for 2019. Bollier has long been an advocate for health care, public schools, and pro-family policies. Bollier came into conflict with Senate President Susan Wagle (R-Wichita) over her endorsement of Laura Kelly for Governor and Democrat Tom Niermann for Congress. (Niermann lost the Democratic Primary to Sharice Davids who was elected to Congress in November.) Wagle stripped Bollier of important positions in the Senate – most notably her leadership position on the Committee on Public Health and Welfare. As the only physician in the Senate, Bollier was a natural fit for such an important committee. Bollier has also been a staunch supporter and defender of public schools, students, and the educators who staff those schools. Bollier was a member of the Senate Education Committee. The House of Representatives today debated HB 2445, the first school finance bill to emerge from and Committee this year, and after a long debate, failed to advance it to final action on a vote of 55 to 65. This was not a roll call vote so there is no record of how individual legislators voted. The bill added about $500 million additional dollars to education over five years and provided fixes to all four equity provisions challenged by the Court in the last Gannon decision. It also revised the transportation formula to codify a “curve of best fit” in the distribution of funding and increased the transportation multiplier to .5 as recommended by the Legislative Post Audit. Some legislators argued that the funding in the bill was too low and attempts were made by Representatives Ed Trimmer and Jeff Pittman to increase some aid provisions. A motion by Trimmer to increase funding by the CPI applied to the Montoy levels of funding was defeated on a vote of 46 to 76. Pittman tried to increase funding for special education over the four years to meet the 92% reimbursement in statute (failed 45-68) and then to increase the funding to meet the 92% reimbursement level next year only (failed 45-73). Rep. Brenda Landwehr tried two amendments, one of which passed on a vote of 107 to 14. This amendment added a pilot program of mental health cooperation between school districts and community mental health providers. She also tried a so-called “Kansas School Closure Contingency Plan” which would have created individual student accounts in the treasurer’s office such that if schools were closed, parents could tap the accounts to send their children to private schools. This voucher amendment failed on a vote of 40 to 81. 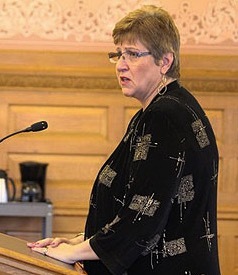 Two “gotcha” amendments were offered in an attempt to garner “postcard votes.” The first was proposed by Rep. Blake Carpenter who tried to radically increase the statewide local property tax levy for education and call it the “Kansas Supreme Court Education Tax.” Rep. Melissa Rooker challenged the germaneness of the amendment and it was tossed out as not germane. The next one came from Rep. John Whitmer. He tried to take $45 million out of K-12 funding (payback for what he deems to have been illegal transportation funding) and transfer it to the Board of Regents. He proposed attaching a one-year tuition freeze on higher ed as well. Rooker again challenged the germaneness of the amendment and again it was found to be not germane. The amendment was thrown out. Rep. Sean Tarwater offered his “safe routes to school” transportation proposal that was taken up in Committee and not acted upon. Tarwater’s amendment would prohibit school districts from charging for transportation if there was no safe route for the child to walk to school. The issue was originally raised to assist some constituents of Tarwater who were charged for transportation after their school district opened a new building and moved their children into that school. The amendment failed on a vote of 56 to 64. With no further amendments being offered, Rep. Fred Patton who was carrying the bill on the floor moved to report the bill favorably for passage. The voice vote being unclear to the chair, the roll was open and the motion failed on a vote of 55 to 65. Had the motion passed, a final action vote would take place tomorrow but, having failed, the bill simply sits on the calendar. It is possible to have a motion to reconsider tomorrow but in a surprise move, before adjourning Majority Leader Don Hineman announced the debate calendar for tomorrow – one bill. HB 2445. While all this was going on in the House, the Senate Select Committee on Education Finance was meeting and assembling their own school finance bill. This bill, SB 423, will be available in the morning and we will review it here tomorrow. We’ve had two days of presentations and conversations with Dr. Lori Taylor and Jason Willis – the consultants hired by the legislature to conduct a cost study of school finance. Friday, it was a meeting with the two finance committees – the House K-12 Education Budget Committee and the Senate Select Committee on School Finance. There was very little interaction in that meeting after the two hour PowerPoint presentation by Taylor and Willis. Chair Molly Baumgardner (R-Louisburg) limited the legislators to one question each so very little was revealed. Today Taylor and Willis met with educators at the KASB building in Topeka and this was a much more interactive time. There were about 50 people in attendance – Superintendents, School Board members, Principals, Parents, Deena Horst and Ann Mah of the State Board of Education, Senator Anthony Hensley, and Representative Nancy Lusk. KNEA lobbyist Mark Desetti, KNEA President Mark Farr, and KNEA Director of Teaching and Learning Idalia Shuman were there as well. Asked who she got advice from in making her decision to review data only back to 2016, Taylor said she had met with a “professor from KU” and Walt Chappell, among others. The mention of Chappell brought quite a response! Chappell has been an outspoken opponent of increasing school funding. And some were wondering if the KU professor might have been Art Hall, the Koch-endowed economics professor. There were a number of alarming things in the presentation. Taylor challenged the way Kansas considers poverty asserting that using the federal poverty level might not be appropriate for Kansas where the cost of living is less than in New York City. A change in this would have a major impact on at-risk funding. How she might be considering “efficiencies” is another concern. This came up in particular reference to bilingual instruction and raised issues of equating “cheap” as “efficient.” For example, grouping all Spanish speaking students in one classroom to reduce personnel costs might be efficient in terms of cost (you only need one bilingual teacher instead of several) but would be less effective in teaching children English as they would have no English speaking role models in class. After questioning from Desetti, she indicated that she agreed effectiveness had to be part of any study and not just efficient in terms of cost. That was a relief! Another bone of contention was the issue of the cost of labor and specifically teachers. Taylor plans to look at the cost of labor relative to “what teachers will accept” now. KNEA and some superintendents raised other issues including the better pension benefits and due process protections in our neighboring states. Taylor indicated that she would try to look at the impact of pension differences. Another thing she seemed unable to answer specific questions about was how to assess the widely varying benefit programs across the state. You can see their full PowerPoint presentation by clicking here. The legislature is off on Monday and Tuesday. Under the Dome will be back on Wednesday. It’s a pro forma day under the dome which means legislators did a quick check in this morning, then headed for home. Monday will be the last day for committee hearings with Tuesday marking the lead up to “turn around” – the time by which bills must pass the chamber of origin in order to be debated in the second chamber. The exception is for bills that are in time-line exempt committees. Those committees are House and Senate Federal and State Affairs, Senate Ways and Means, Senate Assessment and Taxation, and the House committees on Calendar and Printing, Appropriations, and Taxation. A bill can also be “saved” by being referred by leadership to an exempt committee. Both chambers will spend Tuesday, Wednesday, and Thursday on the floor trying to pass whatever bills they have available before they begin the turn around break on Friday. The second half of the session will begin on Wednesday, February 28. A few legislators will not get Friday off, however. Dr. Lori Taylor who has been hired to conduct the new school finance cost study will be in Topeka to meet with members of the House K-12 Budget Committee and the Senate Select Committee on School Finance with whom she will discuss the cost study. The study is expected to be delivered on March 15, a full two weeks past the deadline for a school finance the Attorney General requested at the beginning of the session. As of today, no bills dealing with any part of school finance have advanced. House Higher Education Budget Chairman Kevin Jones (R-Wellsville) surprised everyone (everyone that is except Kris Kobach) by rescheduling a hearing on HB 2643 from next Monday to yesterday. The last-minute change meant that many opponents of the bill had not had the opportunity to sign up as conferees. Kobach seemed to be the one person who knew about the change. HB 2643 would disallow in-state tuition for the children of undocumented immigrants and use the savings to provide post-secondary tuition relief for foster children. As a reminder in-state tuition rates for the children of undocumented immigrants are only available to children who have graduated from a Kansas high school, have been in the country for at least three years, and sign an affidavit of their intent to pursue citizenship as soon as they are able. While KNEA would normally rejoice over a bill to provide tuition assistance to foster children, we cannot support one that also puts post-secondary education out of reach of other young people. With general outrage of the sudden change of times, Jones decided to continue the hearing on Monday. 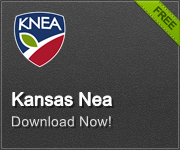 KNEA will submit testimony at that time. What Happened with Due Process Yesterday? Well, nothing. Committee Chair Clay Aurand canceled the scheduled meeting of the House Education Committee and announced that there would be a committee meeting on Monday for the express purpose of dealing with due process. This gives you the opportunity over the weekend to call and email the members of the House Education Committee and let them know that the real option is to call upon Clay Aurand and Speaker Ron Ryckman (R-Olathe) to let HB 2578 to come up for action on the House floor. It sits available for action at this time. This bill makes improvements to the statute on school district bullying plans and restores due process to all Kansas teachers. There is no need to pass any other bullying or due process bills out of committee. Let them take up the one that is already on the floor and put both issues to rest in the House of Representatives. Once that is done we can get on with the business of passing a school funding fix that will satisfy the Supreme Court and keep our schools open. House Education Committee Members (*denotes those who voted YES to pass an amendment to the bullying bill which restores due process for K-12 teachers). Click to view contact information for each member.